Cait O&#39;Sullivan With a Guest Post - And A Giveaway! ANNOUNCEMENT: We have a winner for a copy of Cait's novel. And the winner is..........Kristina. So Kristina, if you're reading this, you'll have received emails from both Cait and me by now. Congratulations indeed! And for those of you who didn't win but would still like to read Cait's book, the novel is available on the posted links. We hope you'll consider buying a copy and putting this book up on the bestseller lists where it belongs. Right Cait? It gives me great pleasure to hang out with Cait O'Sullivan here at MBB today. Believe it or not, she's the first Irish guest I've ever invited here, in spite of the fact that I'm a homesick Irish expat, who is most attached to all things Irish - well, within reason, of course. Okay, the post is a bit late for St. Patrick's Day, but so what? We don't need a reason to have a blast. Cait is the author of ROMANCING THE SEAS, a fabulous romance novel recently published by Crimson Romance. She's come to give us a bit of info about the book and she's also very kindly agreed to give one copy away to a lucky commenter. Make sure you leave a comment to be in with a chance to win. But don't worry if you don't win, because the book is easily available to buy for your e-reader or computer. So without further ado, I'll share Cait's links and sit back while she tells us about the special moment when she just knew that writing was the thing she wanted to do most and then you can see the book and read up a bit of info about it. So Cait, I turn the blog over to you! I have always loved writing and dreamed about writing my own book. But didn’t everyone? At school, writing essays was my favourite thing to do and should I find myself with an hour’s study spare, I’d get me a-writing. Then twelve years passed, shaped by careers I had fallen into without giving them due thought, culminating in me becoming very restless. One cold morning, sitting in the London traffic, I found myself singing along with POD and ‘I feel so alive’. And realised that, actually, I didn’t feel alive. Not at all. So, for my thirtieth birthday present, I bought an Around the World ticket and 13 days after my birthday, boarded a plane for Bangkok. I did write a diary but, to be honest, it’s a bit all over the place. I do remember nerves and excitement seamlessly mixing to produce…nothing. I felt numb, looking out of that airplane window. I landed, picked up my oh-my-word-so-heavy pack (I jettisoned clothes as I travelled and came home twelve months later with a different, much lighter pack) and headed out to get a bus. Yeah, a bus. Not a taxi, which for me coming from London would’ve been ridiculously cheap, no I jumped aboard a bus. Needless to say, I got off at completely the wrong stop on a very busy Thai street, receiving no end of stares…a Westerner here? No problem thinks I, I have a map and will get there myself. I can always ask someone. Are you laughing into your coffee yet? Of course I couldn’t read the signs, written in strange characters that had no bearing to the map in my Lonely Planet book. I asked some passers-by, only to be greeted with blank incomprehension. I walked. And I walked. And I walked – bear in mind the heavy backpack. I probably stooped, not walked. By some luck, I found the street I was looking for – Khao San Road. I started walking through it as the clouds gathered and within seconds there was a tremendous downpour. Really fat drops of rain – the kind I had never seen before in Ireland. Have a look at the photo, now imagine me, doing my best turtle impression in the pouring rain. I was looking for a hostel for the night – yes, despite my sister advising me to book a nice hotel for my first night, I was determined to plunge in at the deep end and arrive unannounced, thus launching myself into my travels. There were plenty of hostels, after all. Weren’t there? The second to last one I checked out looked suspiciously like the one Leo di Caprio stayed in, in The Beach. I clambered up wooden steps into dark, dingy halls with bunk beds, scared myself thoroughly and climbed back down again. After maybe twenty minutes in the rain, I found an empty room and so spoiled myself. I proceeded to spend an evening with some German people I met, with my now traditionally braided Thai hair and drinking the local whiskey. We ended up in a punk nightclub and guess what song came on? You’ve got it, POD and ‘I Feel So Alive’. Up I got to dance in my sandals (am talking hiking sandals here, not the nice kind!) amidst a group of head banging Thai’s – heck I had no choice, because I had never felt so alive in all my life. It felt preddy darn fabulous. But afterwards, I was buzzing. And not in the most pleasant of ways. The jetlag didn’t help either. What did I do? At a misty 5am after wandering around the back streets and canals of Bangkok? I found myself an internet café and wrote to my family and friends. An hour later, I stood up to go back to my hostel, deeply relaxed and ready for my next adventure. That was when I understood the power writing had over me. The escapism and the grounding it provided stood me in great stead amidst the various scrapes but-oh-so-much fun the next 12 months brought. I miss my travelling days. But now, rather than writing emails about my travels to ground me, I weave my travelling stories into my book to help me fly. Such as Pippa and Jonathon in Romancing the Seas – the lucky pair get to cruise around New Zealand and do a bit of hiking too. Lucky them. Sous-chef Pippa Renshaw thinks a change of scene will mend her bruised heart, so she swaps her job in a prestigious London restaurant to head-chef on a cruise ship sailing around New Zealand. A great plan until she meets her new CEO, the delectable Jonathon Eagleton, and discovers she has to share a suite with him. As Cait has very kindly agreed to give away a copy of her novel to one lucky commenter, please remember to comment before you leave, after having read her fascinating post....and don't forget to check back later in the week to see who won. And if you don't win, don't worry, remember that this book is easily available at the buy links posted here. There's no reason to miss out on reading Cait's book! What a wonderful finding yourself story, Cait. Thanks for sharing. Congrats for the book release. 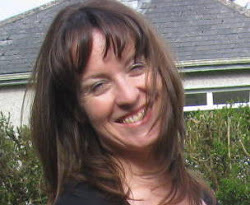 Hi Cait, welcome to Maria's Book Blog :) I love the way Cait is spelt, is it pronounced the same as Kate? Having your characters sail around my beautiful country New Zealand would have given you so many beautiful descriptive areas to let your creative juices flow. Cant wait to read Romancing the Seas. I know in the Irish language it's pronounced 'koyt' and that's the way I pronounce it. But when Cait herself joins us, maybe she'll enlighten us as to what pronunciation she likes for her name. Thank Ruchita :) the times I get bored with myself (the way you do) I remind myself of that day. Thanks for coming by! Hey TashNz and Maria, I'd love to pronounce it Koyt, and in Ireland I do, but there's just no point in correcting everyone...without fail, it's pronounced Kate. And since I always have to spell it, I don't want to be pronouncing it too :). Thanks for your lovely comments! It was a totally fantastic adventure -- I hope some of that gets portrayed in RtS too -- thanks Teresa! I love being here, Maria, thanks so much for inviting me on. And you know what -- you're my first Irish friend in this industry too, so yay for us :). Loved reading about your adventure and how you started writing. Good luck to you. That's a pretty powerful post! What an experience you had - I envy you the travels! Wow - brave you. Don't think I could have gone on such an adventure. Thanks for sharing. I look forward to reading the book. Great to see you here, Jemi, thanks for coming. Hi Joanne, I'm so glad to see you. This guest post really made me sit up and think. Thanks Serena, both for coming by and your kind comments about RtS! Methinks you've had similar adventures too :). And Maria, India is definitely on the TBV list! See you there! Big smiles, Jemi, thanks - I had an amazing time, am very lucky to have done it alright! I betcha could've done, JoAnne! what an amazing experience, Cait - yes, even the rain and getting lost! Yay, you, for following your dreams! What I'm loving about social media and Facebook is finding people with similar interests, and lovely authors who are very generous with their giveaway entries. Thanks for the opportunity. Congratulations on the books. I loved romance books for as long as I could remember. I was always a book worm and in 7th grade picked up a romance at the local library. Of course back then I used to hide what I was reading from my parents because I was really young. It didn't make me go out and want to be a "bad" girl, but it did make me want to find that special someone that I would read about. It took me through one bad relationship before I found my prince. Cait, you are one brave woman! But wow, talk about the adventure of a lifetime. We should all be so lucky as to have one. Hi Kristina, welcome to the blog. Thanks for stopping by. Aw thanks, Kristi! It didn't feel amazing at the time, but it was. Isn't that what all writers are about though -- following your dreams :). Hey, nice one, Alexia, on finding your prince! I'm glad that reading romance inspired you to find your Hero :). I know, Margery, I am incredibly lucky. I have an amazing source for my stories. Thanks for coming on by! I'm thrilled to have this post on the blog today, isn't it a treasure? Welcome to the blog and thank you for coming over. An Around the World Ticket, I'm beyond envious Cait. Good for you! 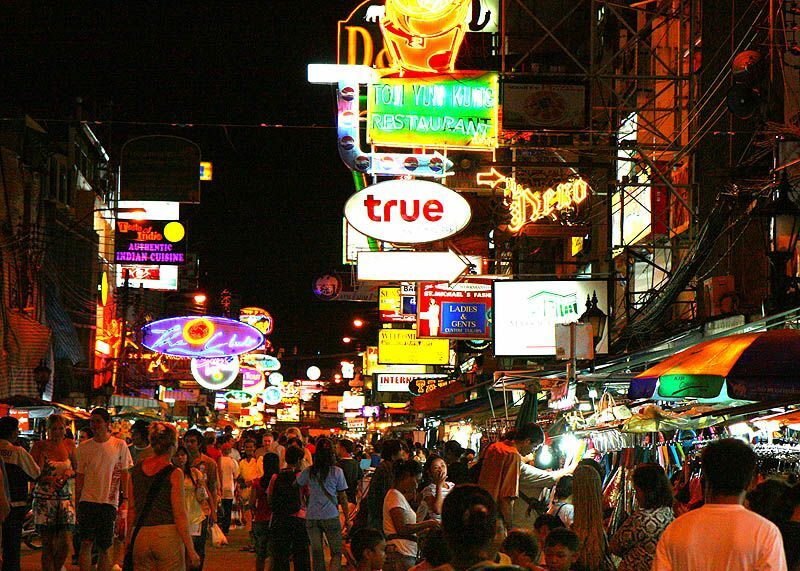 I went to Bangkok in my twenties and can't imagine having traveled there alone. I flew in by myself but met up with a group that first night. You are brave. Would love to hear about the entire trip! 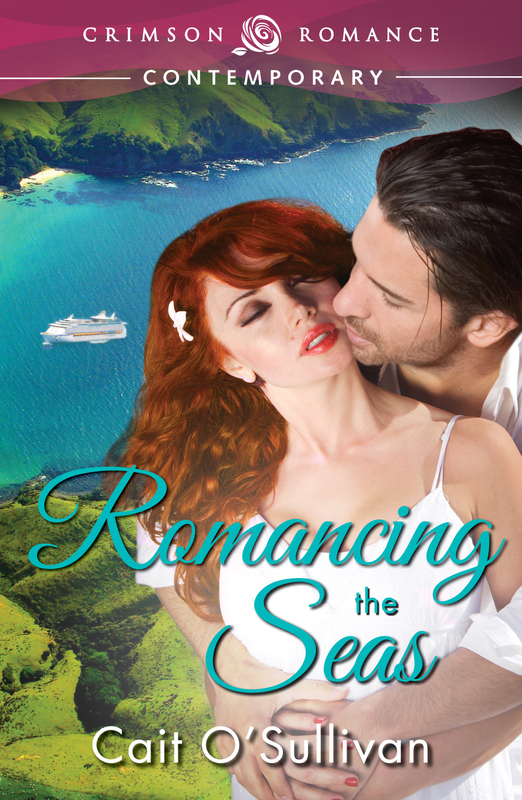 Good luck with Romancing the Seas it sounds like a great story! Someday in Ireland, Eliza, you me and Maria will have a baby Guiness or 10 and we'll have some great chats about travels...can't wait :). Thanks for coming by! At least 5. :-) Count me in! Cait, you are a heck of a lot braver than I ever would be! As for when I knew I wanted to be a writer. I was 15 and wrote the first chapters to a Civil War (American) epic that would become my first ever book. It will never be published, but it allowed me to go somewhere other than where I was then. It helped me create something wonderful and with that there's a kind of peace and pride. I still get that felling today. Yes, I do Cait. I tried to avoid him but I couldn't escape. He was one of these characters you either loved or hated......chilren's tv characters ha! For sure, Cait and Eliza! Count me in.....I drink Guinness by the pint BTW Cait - when I can get me hands on it, that is LOL!!! Wow! 12 months of hiking and exploring...alone! You are brave, Cait. I don't know the exact moment I decided to start writing my stories down, but I fell in love with writing when I was twelve and discovered poetry, or that people liked my poetry! Congrats on your debut, my friend! HI Sara, welcome to my blog today. Go back and polish that MS, you never know where that could lead. What say, Cait? Peace and pride -- perfectly put, Sara. (excuse the alliteration, I know we shouldn't use it :) ) Thanks for phrasing it so well! Thanks, sweet Calisa :). I'd love to read some of that poetry...? Do you know what baby Guinness is? I only found out from Maria recently -- how bad is that! I can't believe you did that! 12 months of constant travelling in foreign countries with just the clothes in you pack? What an adventure! I've always liked to write, though I never really thought of publication. The first time I felt like a writer, though, was when a short story of mine won 3rd place in a contest. That's when it all became real for me. Towards the end of my travels, I unpacked my backpack and took a photo of all my wordly goods. It was quite free-ing, knowing that you carried all you needed on your back. You're such a fabulous writer, Jenna, I'm surprised your first story didn't come first. Thanks for swinging by! Hi Jenna, good to see you here. Great article Cait! Such a refreshing change from the usual format. Funny how many women and girls set off with a backpack for the Far East. One of my sisters did when she was in her early twenties, and two of my nieces at the same age. I'm strictly European, and fussy with it. Hope you made it back home safely. define safely :). I got home but that was the hardest part, my mind had been blown open by my amazing experiences and it was very hard to rein it back in! Thanks for the visit, Jane :). Wow, you are brave (or crazy)! LOL I'm afraid of big cities in the good old USA, not to mention anywhere else! What an adventure :0) I'm so envious (although I don't think I'd have been brave enough to go alone. Fab interview, Maria and Cait. Thanks Suzanne :) Going solo was the best decision though, it means that you can go where you want, when you want, if you want. And if you don't want? Don't! You have to compromise when someone else is involved and as you're going around the world, who needs compromise?! Thanks for popping it! Congratulations Cait! Sounds like a wonderful story and I have read reviews too. Thanks Maria, this is a great interview, loved reading! Big smiles, thanks Nas. Hope you enjoy the rest of your day! Top of the mornin' to you, Koyt. I imagine this said in an Irish accent, of course, not my Kiwi accent. Setting your story in my country AND on a cruise ship intrigues me right away. I'd love to go on a cruise. The closest I've got so far is the 3 hour ferry trip between the South Island (where I live) and the North Island. Hey, thanks for taking the time to pop in and read, Karen :). Hope you enjoy RtS -- bear in mind the first 2/3 chapters may be a bit slow but it really picks up after that -- just had a new review in saying this and that it's a fun, cute read :). I was smiling at this post so much because my travels were also the point when I pretty much decided to be a writer! (Or travel journalist at the time). I too started in Bangkok and wrote a very rambly diary and emails. Thanks for bringing up good memories. :) Congrats on the book, sounds great! I didn't realise how important writing really was to me until I sold my first short story. I think maybe I'd hidden that from myself until I believed I might actually be able to do it. Ah I have friends like that! Who don't want to admit what they want to do until they know they can do it. Makes sense hey! Thanks for coming by. Great to see you, Suzanne, as always! Hi bn100, nice to 'see' you again. Thanks for stopping by and leaving a comment! Spoken like a true Kiwi, Cherie. Thanks for stopping by. Yes, Karen, agreed. I thought that was a valid point indeed. Nick, you're very welcome. I'm delighted to see you over here. I was much like that myself Patsy, to tell you the truth. As a traveller and writer I soaked up your whole post. Not sure I'd want to be stumbling around the canals of Bangkok alone...Love your story idea...wonderful. Every good wish. What better life than to write and travel. Hey Denise -- obv you know what I'm talking about. At least it was bright, if not misty, and stalls were being set up. 'Twas a mad time alright! Thanks for the well wishes :).